Insurance companies spend millions of dollars to figure out how to keep theoretical parity laws just that: theoretical. 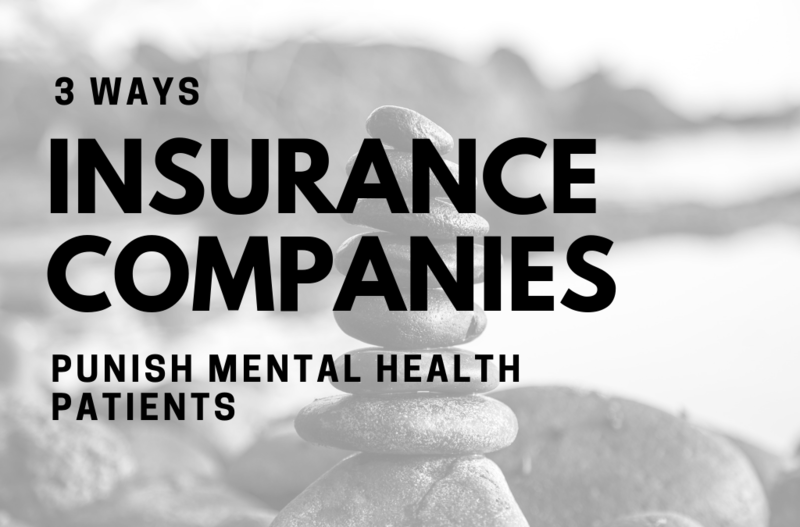 Here are three ways insurance companies treat mental health patients different from all others, despite laws meant to enforce mental health parity. Those who seek mental health treatment face higher out-of-pocket costs than compared with those who seek treatment for physical ailments. A segment recorded by Marketplace reported on the disparity of reimbursement rates for psychiatrists and insurance coverage when it comes to mental health. The Mental Health Parity Act was passed in 2008 and was meant to increase access to mental health care by preventing insurers from treating mental health care coverage differently than traditional health coverage. However, change has been slow, even a decade after its passage. Patients continue to struggle to access the treatment and care they need to remain healthy, and insurers have not reduced barriers to access care. According to NPR, a study recently released by Milliman puts forth several findings, including behavioral health care was four to six times more likely to be provided out-of-network than traditional medical care. Insurers require prior authorization from doctors, even during an emergency. An opinion pieced recently published in the Huffington Post by Dr. Brian Barnett outlines the absurdity of the role prior authorizations play in the mental health care system. When a patient arrives at a hospital for a general admission, no prior authorization is required by insurers. However, with a psychiatric admission – even if the patient is suicidal – insurers often require prior authorization, which must be conducted via phone by a psychiatrist before the patient is admitted. Behavioral health practitioners are reimbursed at a lower rate than general practitioners. Even a decade after the Mental Health Parity Act was passed, the government has struggled to implement the law. Mental health care providers are still less likely to accept insurance than other health care professionals. Insurers, on average, reimburse psychiatrists almost twenty percent less than other health care providers. This creates a disincentive for mental health professionals to accept insurance since they’re reimbursed at a lesser rate than their counterparts. In fact, a little more than half of psychiatrists accept insurance, compared with 89 percent of all other health care professionals. The Chronic Disease Coalition believes mental health parity is essential to resolving the mental health crisis in the United States. Join us to learn more and fight back against insurance companies who continue to profit off the system that hurts so many.